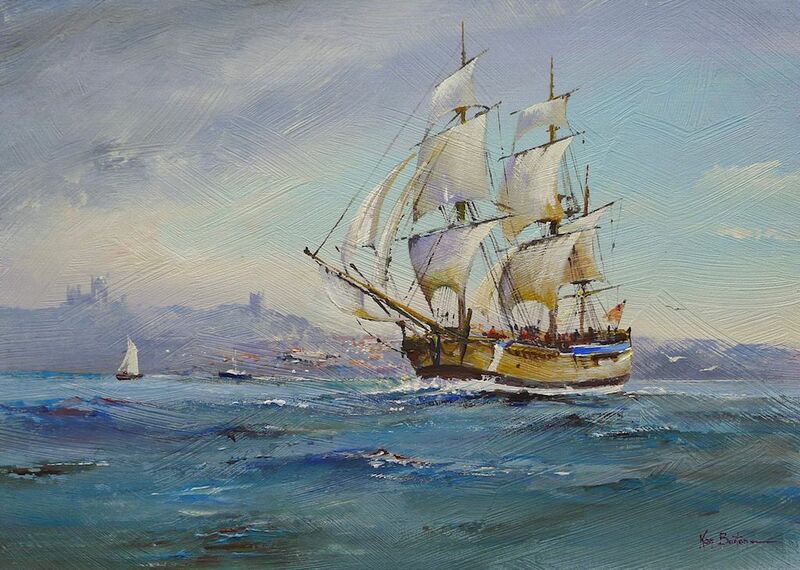 HM Bark Endeavour, Whitby-Artist Ken Burton, Paintings of Norfolk, Paintings of Yorkshire and cityscapes etc. Image size 13.5" x 9.5", double mounted to size 20" x 16" ready for framing. Currently exhibited at the Cloisters, Ely.